Our goal is to create a space that moves people, spaces that speaks to people. Homes should reflect who we are, where we have been and what we love in life and not be a generic model home. 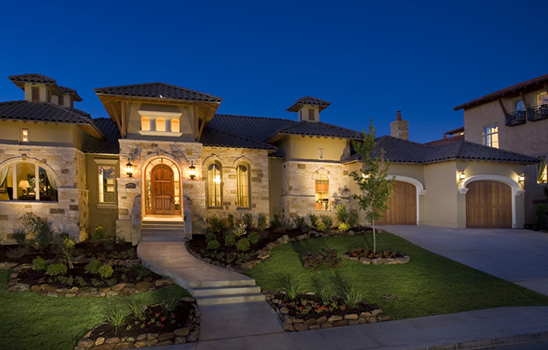 A tranquil revered setting in The Palacios of Cibolo Canyon provides inspiration for a residence that indulges the senses while assuring confidence with its luxurious quality, technology & effortless Energy Star & ‘Build San Antonio Green’ requirements plus notable 10 year warranty. Befitting the name of its street, this grand residence showcases exquisite natural materials include Maple cabinetry, fine granite, ceramic & travertine tile plus rich wood flooring. Kyle Lindsey Custom Homes, LLC, provides a design that suits your dreams with its 3 bedrooms, 3.5 baths, versatile 4th bedroom or gameroom, & intimate study. The details make the difference, continuing with a stylish wet bar, integrated security system, Surround Sound & media wiring, CAT5 phone wiring, vacuum system, gardening center, hobby/laundry center & 3-car garage with coordinated designer doors. 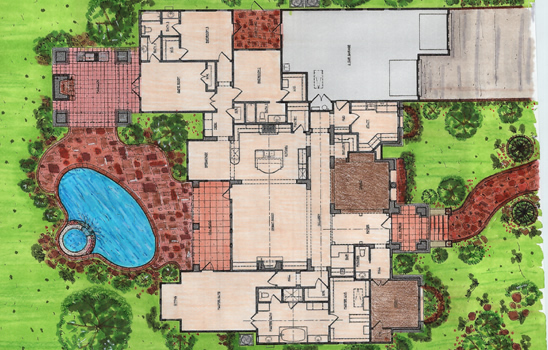 The total 3887 sq.ft. & 500 sq.ft. of covered terraces & an inspired entertainment pavilion with grill kitchen & fireplace to capture the moment & treasure the dynamic pool surrounded by xeriscaped grounds. Visit Tournament Players Club to find out more information on the golf courses at Cibolo Canyons.